Our Galvin Mission Bar Stool is square and sturdy in your choice of solid American hardwood. Each is handcrafted to order for your home or business. 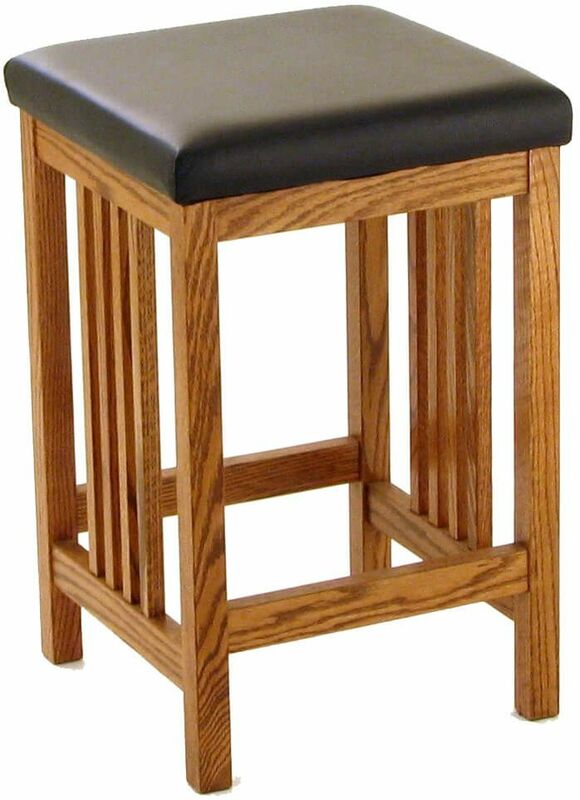 Mortise and tenon joinery strengthens your Galvin Mission Bar Stool, which is rich in Southwest character. Handmade of solid wood, this kitchen stool is perfect for both home and commercial use. Our industry leading catalyzed conversion varnish ensures your bistro stool will last a lifetime. Your made-to-order stool can be ordered with 24" or 30" high seat. Choose your hardwood, stain, and options and our Amish artisans will craft your Galvin Mission Bar Stools to order. As pictured, the stools are shown in solid Oak with Black leather seats.